VMware vCenter Converter transforms your Windows- and Linux-based physical machines and third-party image formats to VMware virtual machines. i dislike that if gave me problems when i try to convert another type of virtual machine such as hyperv into vmware virtual machine, y have to use another converter to convert the machine into a vm workstation compatible and then download an ovf or use vconverter after all those steps. PS: i have it install in my work machine, but in my windows 8.1 pro isn't compatible and thats a big problem for me that i'm the only one using it on my company. our business problem was that we need to convert a lot of physical servers into virtual machine for vcenter and we were able to do it in a less time compare with other converter and we almost 95 % of successful machine converts. i also like that is compatible with my vmware platform . "The best converter software for Physical to Virtual and Virtual to Virtual"
The best thing about VMware V center converter is, it can turn any physical machine to virtual machine seamlessly. The process is hassle free. You may be able to use it even for migrating your virtual servers from one data center to another data center. VM Ware converter is one of the best software s ever released by VM Ware. The error messages are not really clear. When a process stops or the migration process ends abruptly, it does not give enough information regarding the scheduled task. The conversion takes so long but works though most of the times. We always tried to do a virtual to physical conversion to a box for some servers, but it never worked and I think there is nothing in the market available which can convert a virtual to physical machine. It is understandable that every one is looking to move into virtual infrastructure from physical servers but these companies did not realize people may need some thing which can convert a virtual machine to a physical machine, for example servers like Active Directory Servers, V Center machines etc. Recommended for all your Conversions and migrations. We moved several hundreds of virtual machines using this converter and also used to make physical server to virtual servers. We converted over 100 physical servers to virtual servers and used this software to move virtual machines from one DC to another DC, whenever we get a new hardware. It takes some time for the move, but can run parallel and achieve the goals and meet timelines of migration. "The Power of The vCenter Converter"
The vCenter converter allows you to move servers (either from a physical machine, or from Hyper-V (or other virtualization platform) to a VMware environment. The cost? Free! It's very easy to use, and you can even migrate machines while they are running! It doesn't always work well. It also can take a really long time to convert a large server (like a file server) to the new host. There is no support because it is free. It can be easier to learn how to use and also more instructions (with more details) to help set it up. To properly use the platform, you need a dedicated server with lots of processing power to migrate the VMs over. The next best option, is to do an image based backup, and restore. It allows us to move virtual machines and physical machines to VMware servers with minimal labor and cost. As long as the servers are not more than 1 tb a piece, you can move an environment over to the new VMware platform in just a couple of days. Easy of use, like all VMware products, you pick your target server, vCenter Converter, reviews the target, and see's that the server can be migrated over to a virtual machine. None to see, I highly recomemmend this product for any companies that are looking to convert all or any physical machines over to virtual servers. You pick your target server, then let it run. This is a simple solution to any company that is looking to convert physical servers to VMware virtual servers. Whether they are on prem or in the cloud. This is the solution that everyone should be looking at. How easy it is to convert a physical server to a virtual server, and how it does all the work for you. "vCenter helps me maintain essential Servers"
It is very easy to convert a physical server to a virtual server. There are many options that one can configure to be more flexible with a virtual machine. I wish that they would support older versions of Microsoft Server for a little bit longer so that customers would have the change to migrate to a virtual environment over a longer period of time. It is very easy to install and move a physical server to a virtual environment. We have the ability to migrate businesses to a virtual environment so that the costs of hardware will go down. "VCenter converter - converting from hyper-v to VMWare"
vCenter Converter is the best tool to convert both physical servers and hyper-v servers to VMWare. I wish there was a way to save the settings for the converter tool so that you don't have to make the same changes each time you convert. It's not a big deal if you're doing a few conversions but when you're converting 100+, it can be a challenge to verify you make the right changes 100% of the time. Converting from Hyper-V to VMWare and converting physical hosts to virtual hosts! I did like the ease of setting up a conversion job from a bare metal server. The speed at which the server was converted and the issues with launching it inside of esxi. "Quick and easy conversion of VM images"
Quick and easy conversion of vm images. Slick interface. Great admin / overview functionality. Some of the logging and auditting ability, as of when I last used it, was somewhat lacking. Guessing they have made improvements since then though. Templating was wonky as well, but that could've been pilot error on our part. Massive cloning and conversion of single and multi tier VM images for use in development & QA of custom software solutions built on our platform. "The easiest and fastest way to convert your physical servers to a virtual machine!" it's by far the most convenient way tool to convert both physical servers and hyper-v servers to VMWare virtual servers. some improvements are required to make the conversion process more user-friendly since you have to pay a lot of attention to details and you end-up making the same changes every time you convert since, you cannot create your own conversion template. mass conversion of physical servers to VMware VM's. "Great choice to virtualize your physical boxes"
It's the easiest way to get your assets onto the vSphere platform. Install, give it a source and destination and you're all set. Sometimes conversions get hung up or sometimes the converter won't be able to process a source machine, but those issues are few and far-between. 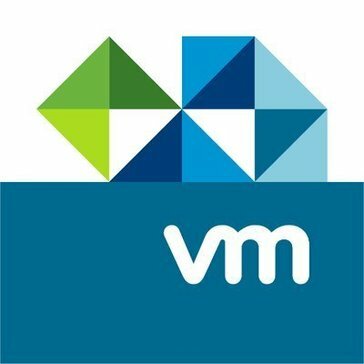 Moving from physical and Hyper-V environments to our robust and stable VMware environment. We are consolidating assets and better utilizing higher tier equipment. * We monitor all vCenter Converter reviews to prevent fraudulent reviews and keep review quality high. We do not post reviews by company employees or direct competitors. Validated reviews require the user to submit a screenshot of the product containing their user ID, in order to verify a user is an actual user of the product. Hi there! Are you looking to implement a solution like vCenter Converter?